In two weeks the next chapter in The Avengers saga will continue with the release of Captain America – The Winter Soldier. One of my childhood friends called to talk about the movie and we reminisced about our childhood. We used to read his older brother’s comic book collection once a week. 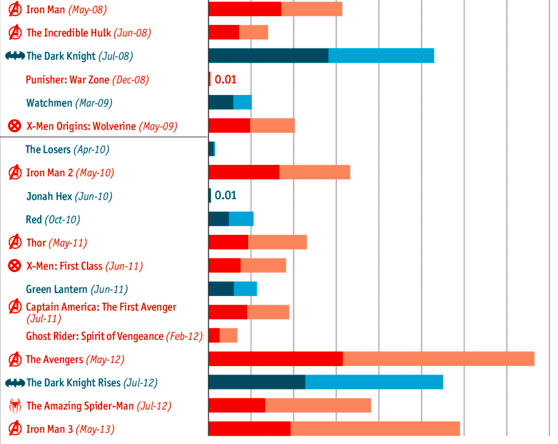 It is hard to pinpoint when it happened but sometime in the past couple of years, superhero movies became mainstream. In 2012 The Avengers broke the record for the highest weekend box office and it was the fastest film to gross $1 billion. 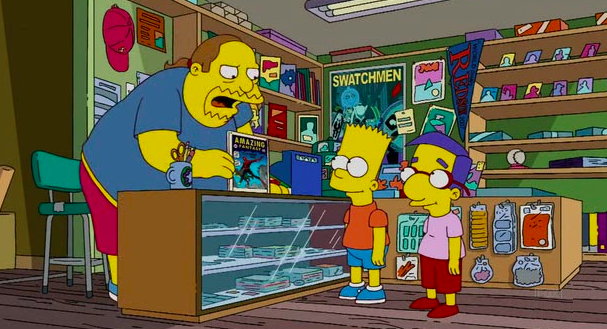 Back when I was growing up, reading comic books wasn’t cool… so I have a hard time grasping the success of the film. Two other movies on the list above deal with teams. However, only The Avengers assembled in a way that follows a known model for highly effective teams. Perhaps a look at that can shine some light on the success of the franchise, point to the clever plot twists and what we can expect in later films. Dr. Bruce Tuckman published the Forming Storming Norming Performing model in 1965 and later added Adjourning in the 70s. – Getting the right people. Now let’s compare the list to Nick Fury, played by Samuel L. Jackson. His goal is to prepare a special team that can respond to global threats like a task force. His vision portraits the idea that a group of people can accomplish more together than any individual by himself. The blueprint for action assumes the form of the S.H.I.E.L.D. initiative, which in the movie stands for Strategic Homeland Intervention, Enforcement, and Logistics Division. He builds trust throughout the series of movies starting in the first Iron Man, launched in May 2008. Getting the right people, see FORMING. In the movie, Nick Fury loses a powerful artifact called the Tesseract and decides to activate the “Avengers Initiative”. In other words, he decides to form the team. This phase depends a lot on leadership for guidance and direction. Fury responds quickly by sending his agents to recruit Dr. Bruce Banner (the Hulk) so he can trace the artifact, he calls upon Tony Stark (Iron Man) to review known research on the Tesseract and he goes to Steve Rogers (Captain America) to task him with the retrieval of the item. The leader explains the team model, sets rules and expectations. He finds acceptance in his talk with Captain America, eagerness in Iron Man and it is in his best interest to keep the Hulk in his best behavior. It is a time for socializing and getting comfortable. Individual roles and responsibilities are established but unclear. Processes are often ignored. Tony Stark displays a typical problematic response to this stage: working independently VS working alone. 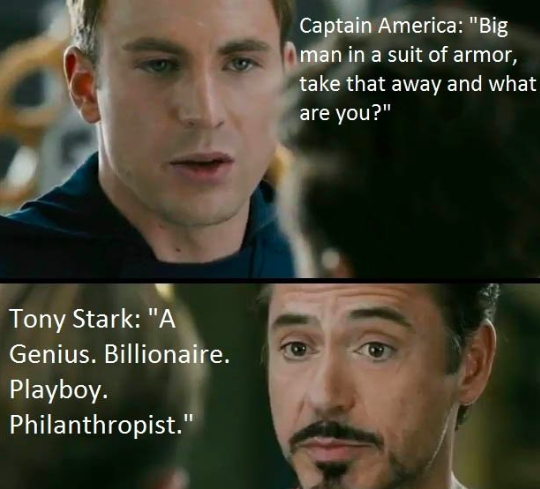 Iron Man is a one man show. People tend to fail to understand strengths and weaknesses of others. Sizing up team members is also a common behavior, as demonstrated to the left. In this phase members vie for position. In the context of The Avengers, it is aptly named since this stage starts in the movie when Thor shows up to fight Iron Man and Captain America. Here competition, high emotions and conflict are obstacles that need to be addressed. The fight only stops when they agree on the task at hand: take Loki (responsible for stealing the Tesseract) to Nick Fury at the base. Cliques and factions form in this stage, as illustrated by the instant connection between Tony Stark and Bruce banner (both scientists). It is important for leadership to show tolerance. Here the leader coaches. Agreement and consensus lead to bonding, commitment and progress. In response to an attack, Bruce Banner transforms into the Hulk and all hell breaks loose. Smaller teams form within the group. Iron Man and Captain America work together to fix one of the engines that keeps the base from falling to the ground. 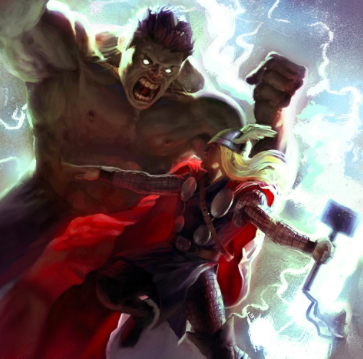 Here a problematic behavior in this stage is clearly portrayed in the movie when Thor fights The Hulk: sometimes teams go back to STORMING when new tasks and obstacles are introduced. 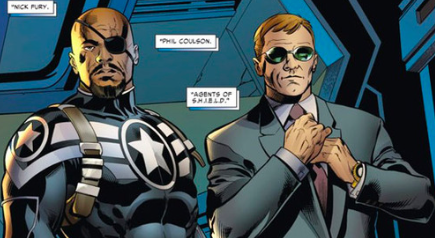 In response to the death of an agent, Nick Fury reins the team back on track and creates unity. They discuss processes, feedback and develop a plan. The leader encourages group decision making and there is a leadership transfer. In this phase the team is strategically aware. In the movie this phase starts when the Avengers descend in New York. The team works together. They are more efficient and display excellent decision-making. Conflict is good and dealt with competence. On the ground the team has a shared vision and they can work towards their goals with no interference or participation from the leader. The team has a high degree of autonomy. Captain America works as their tactical leader and since this is a high performing team, everyone keeps up with the work rate. They all work toward achieving the goal but also attend to relationship issues long the way. As observed in the long fight sequence and aerial battles, team members look out after each other. That scene was added to the film later, in post production. The same can be said about ADJOURNING. Bruce Tuckman refined his theory and added this fifth stage around 1975. This phase is important to the well being of the group and it can impart a sense of celebration. Either by design or not, Nick Fury is not in that scene. The task of managing and developing a team falls only within the original four stages. Here the leader does nothing, but sit back and relax. There are several team models out there that deserve further examination. I could have talked about Lencioni’s Five Dysfunctions in comparison to The Avengers, but Tuckman was a better fit. My first draft comparing a movie to a team model was based on Saving Private Ryan and the T7 Model of Team Effectiveness. I could have looked at He-Man using Lafasto and Larson or Transformers using Katzenbach and Smith. Tolkien’s Fellowship of the Ring would fit like a glove using Rubin, Plovnik, and Fry. Dr. Wayne Dyer said that if you change at the way you look at things, the things you look at change. I think the way the Joss Wheedon (screenwriter) dealt with the team formation and development in The Avengers was crucial to the success of the film. As a final thought, there are so many similarities between the models that it really does not matter which one you use, as long as you use one that fits your organization. 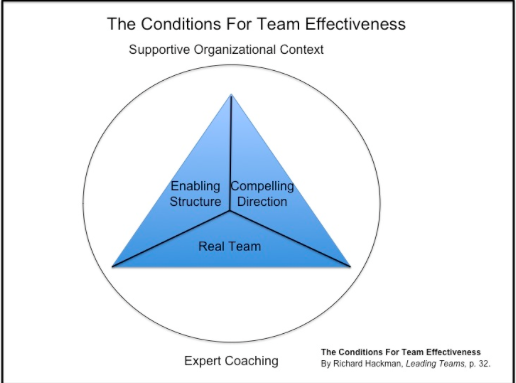 In mid-February I read an article in the Harvard Business Review series on Hackman and I did some research on his team effectiveness model. I like the fact that using his model, measurement addresses “growing team capabilities over time”. In the field of Operations and Supply Chain Management, continuous improvement is crucial. I also have a great coach and mentor in my boss and the company supports teamwork and invests heavily on people development through education reimbursement. It is important to know team models because even the best team can face dysfunction with new members, added responsibilities or overwhelming challenges. Here the leader wears many hats.